With a 10 foot lightning cable, you can use your iOS device while it’s plugged in across the room. 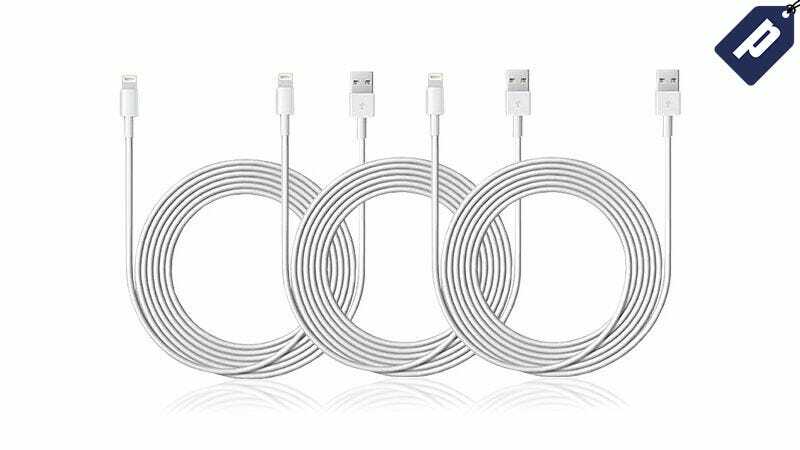 Right now, Jezebel readers can get a 3 pack of 10 foot, MFi-Certified lightning cables for just $17. These lightning cables are MFi-Certified, meaning they meet Apple’s standards for charging any of the latest iOS devices. They’re also 10 feet long, so you can still use their devices while they’re plugged in across the room. Get a three pack and keep one at home, one in the office, and give one away. They’re just $17 - hit the link below to get yours.